In February 2016, I had the opportunity to visit Colombia along with three fellow volunteers from The Wildlife Conservation Network. The goal was to meet with Projecto Titi who are trying to save the remaining cotton-top tamarins in Colombia. The cotton-top tamarin (Saguinus oedipus) is one of the most endangered primates in the world, with an extremely limited distribution, occurring only in northwestern Colombia. 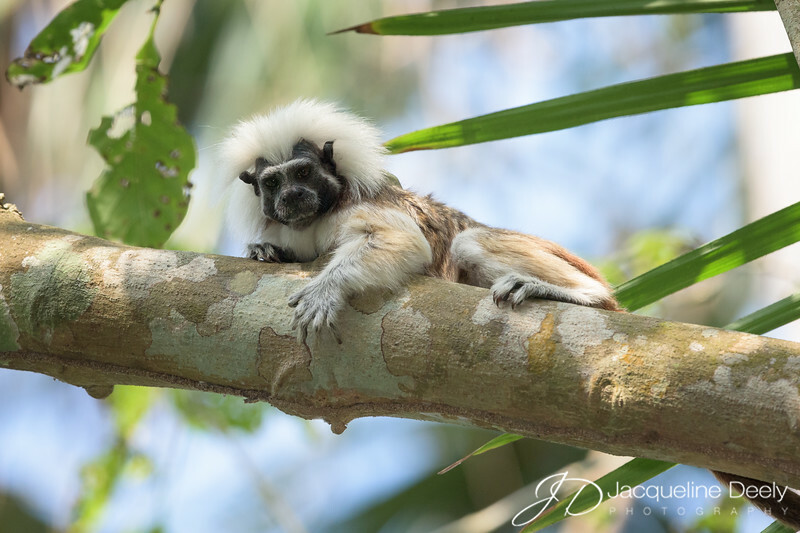 During my week long stay I had the thrill of seeing and photographing these beautiful little monkeys in their native habitat, in addition to meeting with and learning more about the crucial community programs Projecto Titi has created to help protect and save the cotton-top tamarin from extinction. To give you a sense as to just how small they are, think of a squirrel! Our visit included experiencing local culture and we also had time to spend in the beautiful old walled city Cartagena. You can read more about our adventure on my BLOG.